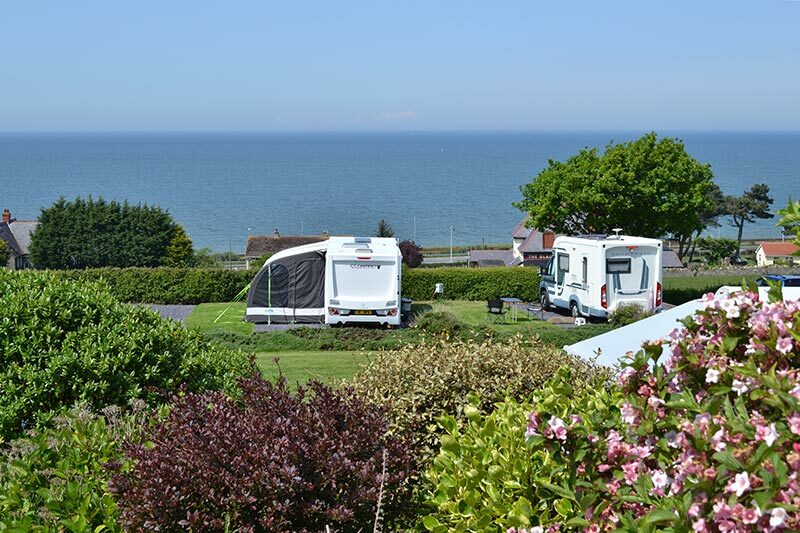 For caravanners who have an affinity with the sea, it would be difficult to find a more lovely location for a caravan park on the North Wales coast. 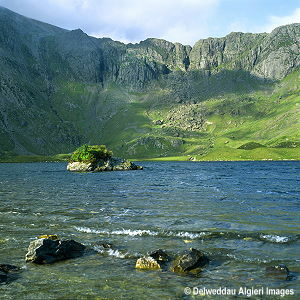 Located where the mountains of Snowdonia meet the sea, this an ideal touring centre for the whole of the beautiful and historic region of North Wales. = Tyddyn Du Touring Park. For those looking for a "Mountains and Coast" experience, Tyddyn Du is ideal. It is situated within a few yards of the boundary of the Snowdonia National Park, with glorious walks for both the beginner and the enthusiast. There is much evidence of early occupation and the hills are criss-crossed with ancient trackways. The award winning beach - one of the finest in North Wales - is about 10 to 15 minutes walk with the promenade a little further. All types of sporting and leisure activities are close at hand. The Championship golf course at Conwy is a couple of miles away and Penmaenmawr's delightful course is just 200 yards distance. Horse riding, fresh and sea water angling, sailing and bowling are all nearby. There is an abundance of excellent wining and dining within easy reach of Tyddyn Du, including The Gladstone. 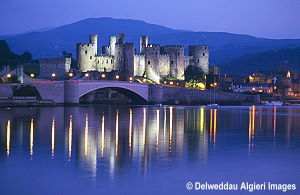 The historic walled town of Conwy, designated as a World Heritage Site, is 4 miles to the east and Llandudno, "Queen of the Welsh Resorts", with its shops, theatre and renowned Victorian sea front a further 5 miles. 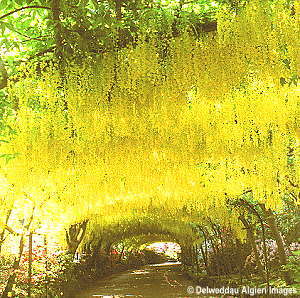 Other attractions worth a visit include the world famous Bodnant Garden (National Trust) and the castles at Conwy, Caernarfon and Penrhyn. There are also local steam railways to go on including the Ffestiniog Railway, Snowdon Mountain Railway, and the Welsh Highland Railway.
" Very lovely site very clean, very helpful staff. The toilet block is spotless we going again next week. The area is good lot's of place's to go there is a hotel just outside site and a bus stop just a few minutes walk. There a couple of shops in village. " " So much to see and do in the area, Conwy and Llanduno are less than 10 minutes drive, alternatively you can be in the Snowdonia Park in minutes. The National Cycle Route 5 runs along the sea front, almost traffic free cycling right down the coast to Mostyn or in the other direction traffic free of tiny quiet lanes into Bangor. " " Welcoming and friendly owner. Terraced, secure site in an absolutely lovely location set between Llandudno and Conwy with stunning sea views to the front and welsh mountain at the rear. Nice and quiet, gardens and all plots well maintained and a credit to the owner. Electric hook up points close by pitches, water taps near by. " " You can walk to the beach and there is a path from the site which links to the welsh coastal path. The site is on the edge of snowdonia, so no shortage of great walks. There is a small golf course within walking distance and Conwy and Llandudno are a short drive away. "